“Robert first went to Australia about 25 years ago and it was somewhere I had thought about, but I never imagined we would get there. But when our Travel Expert Yohan invited us to Flight Centre’s Suitcase Party two years ago, where the prize was a trip to Australia, I decided there and then that I wanted to go and Yohan and I started planning the itinerary. “We then went on an Escape to Dubai, where, unbeknown to me, Robert purchased an engagement ring and kept it hidden for eight months, waiting for the right moment. “We finally made it to Australia in February last year. On our final morning, we got up at 5am to go on the sunrise excursion. About halfway through the morning, we reached a clearing with a waterfall and the next thing I knew, Robert was fumbling in his pocket and went down on one knee and asked me to marry him! He produced the beautiful ring, it was so romantic, charming, and very emotional. I obviously said yes! “When we returned home, we discussed various options; we’ve had many a holiday to Miami with Flight Centre and we love Mexico. I joked that we should come back to Australia, but when we thought about it, it just seemed right. “It was no mean feat organising a wedding for nine people 20,000 miles away, but Yohan worked so hard putting the itinerary together and co-ordinating flights for my son to come from Canada. The day went perfectly, and I cannot describe how magical it was getting married there. “I even arranged for a fire truck to collect Robert on the morning of the wedding! He has been a London firefighter for 38 years and whenever we go on holiday, we always visit the local fire stations. 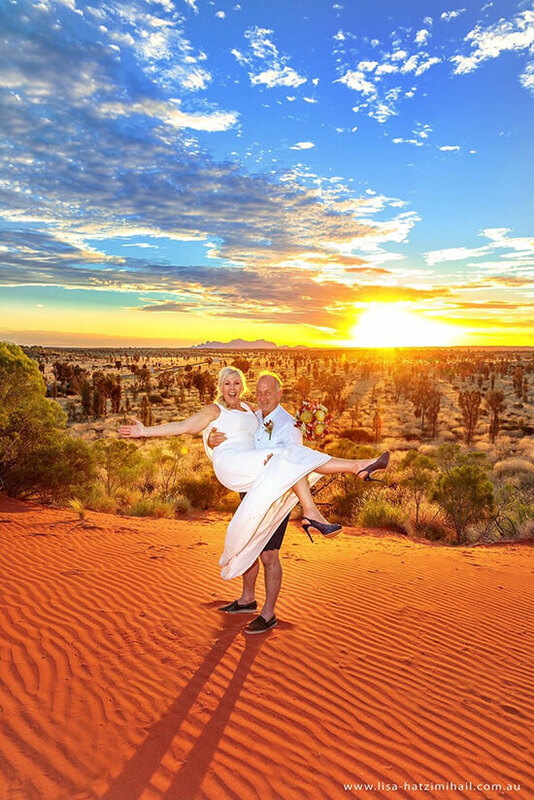 To Robert’s complete amazement, there was a fire station at the Uluru resort when we got engaged and we spent a couple of hours chatting to the firefighters there, so once we’d decided on the venue, I wrote to them and asked if they would consider surprising Robert. It’s the first time they have been asked to do something like that! 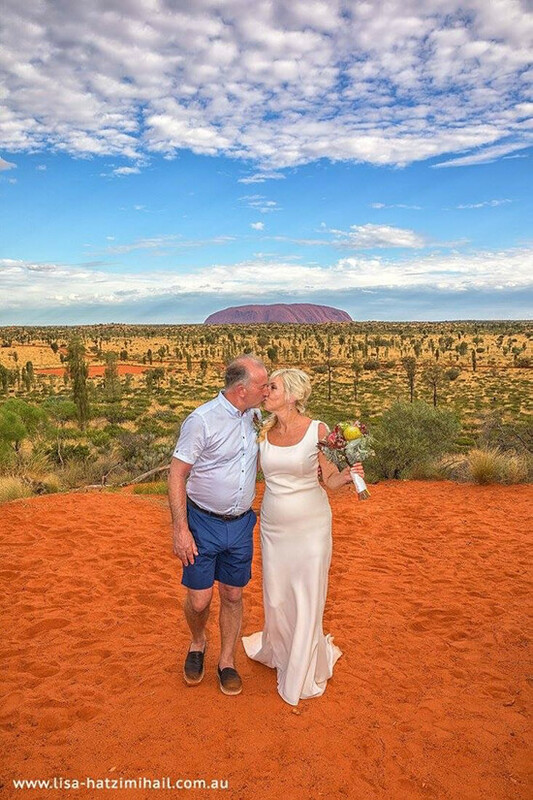 “It was very special for us to go back to the place where Robert proposed, and we got married exactly one year on from the day we got engaged. We have been together for 18 years, so to make this commitment at such a place was incredibly emotional for us with our children and families present. Planning something special? Pop in-store to meet your very own Travel Expert and start planning your celebratory trip.